Email marketing is widely known as a simple and not expensive tool of communication and promotion. And that’s true: but to get truly good results with an email campaign, a good marketer should choose a professional software that allows him to control easily all the aspects of his promotions. Management of lists and ability to import data from different files; filtering of the results; management of subscriptions, cancellations, bounce backs and black lists. Quick creation of HTML / text-only messages with an HTML visual editor; availability of ready-made templates; management of multiple fields and images; creation of highly compatible outputs. 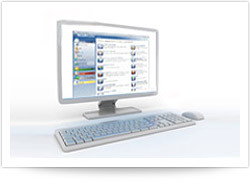 Management of direct mailing and SMTP server. Analytics tools to track open rates, click-throughs and bounce backs to provide a complete analysis of the users’ behaviour. 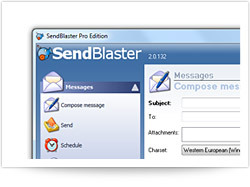 Thanks to a professional email marketing software like SendBlaster, you will be able to handle your email campaign directly from your desktop – in a few clicks.